Cigarette smoking is an established risk factor for adverse perinatal outcomes. The purpose of this study is to examine the association between maternal smoking in pregnancy and the occurrence of placental-associated syndromes (PAS). We analyzed data from a population-based retrospective cohort of singleton deliveries that occurred in the state of Missouri from 1989 through 2005 (N = 1,224,133). The main outcome was PAS, a composite outcome defined as the occurrence of placental abruption, placenta previa, preeclampsia, small for gestational age, preterm or stillbirth. We used logistic regression models to generate adjusted odd ratios and their 95 percent confidence intervals. Non-smoking gravidas served as the referent category. The overall prevalence of prenatal smoking was 19.6%. 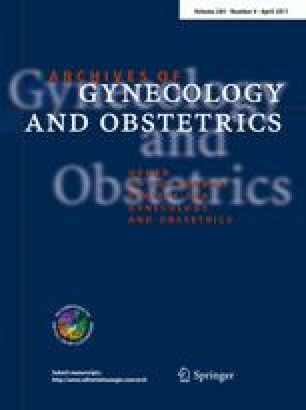 Cigarette smoking in pregnancy was associated with the composite outcome of placental syndromes (odds ratio, 95% confidence interval = 1.59, 1.57–1.60). This association showed a dose–response relationship, with the risk of PAS increasing with increased quantity of cigarettes smoked. Similar results were observed between smoking in pregnancy and independent risks for abruption, previa, SGA, stillbirth, and preterm delivery. Maternal smoking in pregnancy is a risk factor for the development of placenta-associated syndrome. Smoking cessation interventions in pregnancy should continue to be encouraged in all maternity care settings.